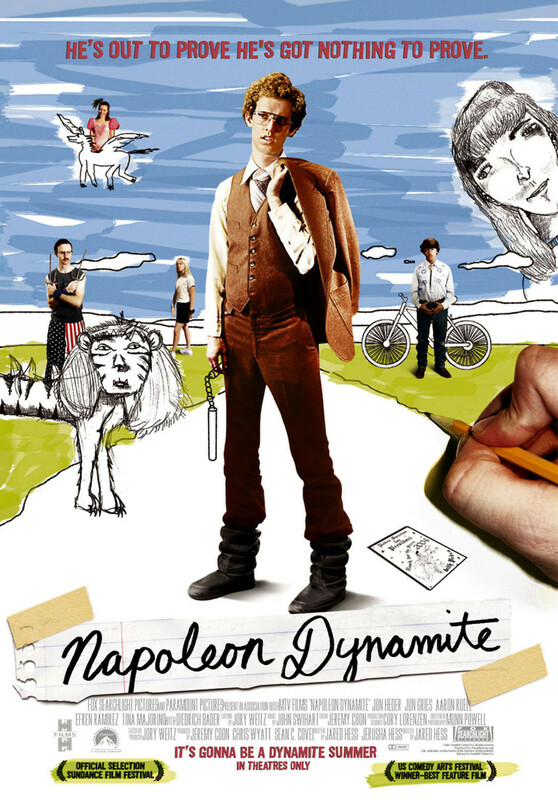 Socially awkward youngster Napoleon Dynamite juggles school, home, and friendships in his hometown of Preston, Idaho. His grandmother has recently left his uncle Rico, a salesman with a penchant for romance, in charge of the household. Napoleon eventually meets Pedro, a new arrival from Mexico, and quickly develops a strong friendship. They find adventures at a school dance, a dairy farmers’ fair, and a school election, which Pedro goes on to win after Napoleon gives a performance of freestyle, expressive dancing as his required talent portion of his campaign for school president. Though everything appears to be chaotic, all is made well in the end when Napoleon’s brother runs off and marries his soul mate Lafawnduh, his grandmother returns, Uncle Rico leaves and everything is made aright.